Is Cliffs Natural Resources Inc (CLF) Going to Burn These Hedge Funds? The 700+ hedge funds and money managers tracked by Insider Monkey have already compiled and submitted their 13F filings for the third quarter, which unveil their equity positions as of September 30. We went through these filings, fixed typos and other more significant errors and identified the changes in hedge fund positions. Our extensive review of these public filings is finally over, so this article is set to reveal the smart money sentiment towards Cliffs Natural Resources Inc (NYSE:CLF). Is Cliffs Natural Resources Inc (NYSE:CLF) a superb investment now? Prominent investors are turning bullish. The number of long hedge fund bets rose by 2 lately. 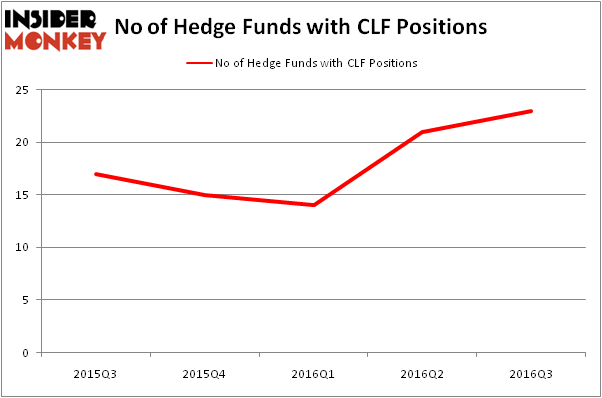 CLF was in 23 hedge funds’ portfolios at the end of the third quarter of 2016. There were 21 hedge funds in our database with CLF holdings at the end of the previous quarter. 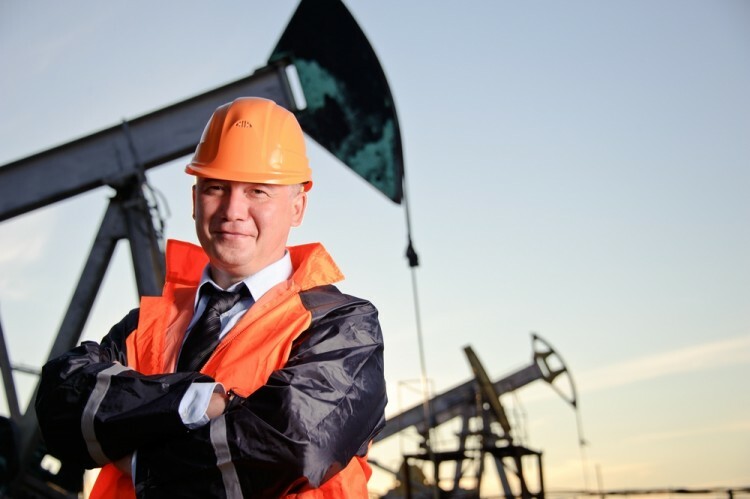 At the end of this article we will also compare CLF to other stocks including Advantage Oil & Gas Ltd (USA) (NYSE:AAV), Atlas Air Worldwide Holdings, Inc. (NASDAQ:AAWW), and ESCO Technologies Inc. (NYSE:ESE) to get a better sense of its popularity. With all of this in mind, let’s take a look at the latest action surrounding Cliffs Natural Resources Inc (NYSE:CLF). At the end of the third quarter, a total of 23 of the hedge funds tracked by Insider Monkey were bullish on this stock, up 10% from one quarter earlier. With the smart money’s positions undergoing their usual ebb and flow, there exists a select group of noteworthy hedge fund managers who were increasing their holdings substantially (or already accumulated large positions). According to publicly available hedge fund and institutional investor holdings data compiled by Insider Monkey, Peter Rathjens, Bruce Clarke and John Campbell’s Arrowstreet Capital has the number one position in Cliffs Natural Resources Inc (NYSE:CLF), worth close to $91.3 million and corresponding to 0.3% of its total 13F portfolio. The second most bullish fund manager is Jim Simons’ Renaissance Technologies holding a $66.4 million position; 0.1% of its 13F portfolio is allocated to the company. Remaining peers that are bullish comprise D. E. Shaw’s D E Shaw, Cliff Asness’s AQR Capital Management and Ken Griffin’s Citadel Investment Group. Here is What Hedge Funds Think About Danaher Corporation (DHR) Is Johnson Controls International plc (JCI) a Good Stock To Buy? What Smart Money Thinks About The Walt Disney Company (DIS)? Is Rite Aid Corporation (RAD) Worthy of Your Portfolio? Does F5 Networks, Inc. (FFIV) Represent a Good Addition to Your Portfolio? Should You Buy Eli Lilly & Co. (LLY)?